Facial is a main process among beauty tips and it is done by expert beauticians however, you can also be done it at home. Facial is a costly skin treatment and it takes time, while if you are busy and cannot spare time for this, then you should have to do this by yourself. Facial at home is not a difficult process if you follow the instructions, when you perform by yourself then first of all it saves your money as well as your time moreover you understand your skin more than a beautician. 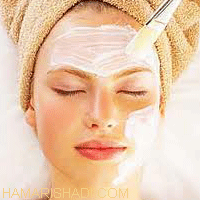 Facial at home has following simple few steps. 1. First, step for facial is to clean your skin with a quality cleanser in this way you can clean old skin cells and it will refresh your skin. Select a standard and according to your skin cleanser. 2. Make a mixture of sugar one tablespoon, olive oil 1 1/2 tablespoons and two – three drops of lemon juice and massage your face with this in circles, but softly to remove dead face skin and lastly remove this with mild warm water. 3. Third step of facial at home is to steam your face with the help of warm towels, but it is important that check it before applying your face. In this way steaming clean your skin and remove all dead skin and other particles. 4. In fourth step you have to apply mask according to your skin type and if you do not have any mask, then apply honey because honey has dual properties like anti-septic and hydration. It is important that all the honey wash out when you wash your face with mild warm water. 5. In last step of facial at home is to use quality moisturizer.